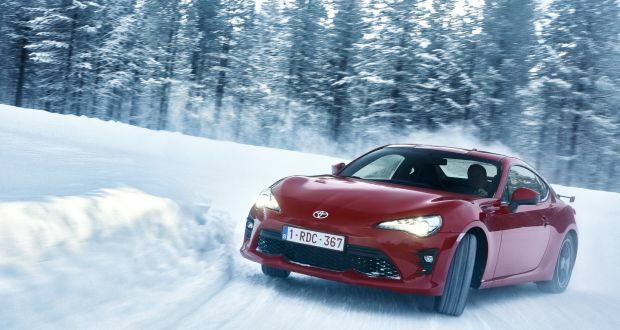 The GT86 is not just another addition to the burgeoning Toyota fleet. This has been a messenger, a motoring signal to the masses: Toyota is back in the sports car market and it means business. After mistakenly abandoning this segment with the death of the MR2, in 2012 the GT86 announced a reversal of strategy at the brand, courtesy of a partnership with Subaru. The car itself has underwent a mid-life upgrade in 2017. This means new bumpers, a rear spoiler and a track mode, a much less invasive form of traction control that lets the car step out of line. People naturally think sports cars are hard to drive or difficult to handle. The reality is that these more mainstream models are actually incredibly easy to live with. Of course there are limitations in terms of space and comfort. It’s still only a two-seater with two pretend rear seats for holding a sports bag or a spare jacket. Price is the biggest hurdle facing the GT86, and one it fails to overcome. At €41,995, the GT86 is too expensive for its core audience. Yet there is an historic appetite for such cars in Ireland. Consider the popularity of the Hyundai Coupe in its day. This Toyota is infinitely better than that car ever was. The issue will be over the price. Knock €2,500 of that and I reckon it would be a big seller. That’s perhaps why there is strong demand for used models. Sum-up: Reviving Toyota’s tradition of building relatively affordable sports cars. Sadly hasn’t caught the public’s interest, but it’s great fun to drive.